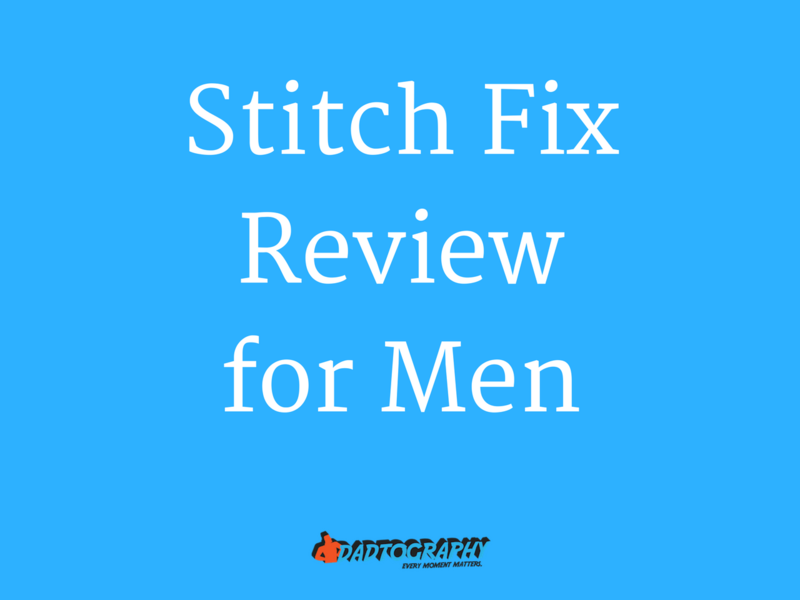 This is a 100% honest, 100% authentic Stitch Fix review for men. Dadtography was not compensated in any way for this post. We paid for our Stitch Fix order with our own money. Links to Stitch Fix below may be referral links (marked as "rf"), and provide Dadtography.com a $25 referral bonus for users that sign up. Okay, I feel the need to add this quick "disclaimer". Two things - number one, I am not a clothing guy. Until a recent promotion, I was perfectly fine in shorts and a t-shirt. Number two - I'm not a shopping guy. Yes, I like "stuff", but by that I mostly mean gadgets and toys, not clothes. I'm the typical guy sitting on the chair at a department store. The time had come for me to refresh my wardrobe, though. I decided to give one of those online clothing subscription services a try. The best, and worst, of my experience with Stitch Fix is below. I'm updating the post because of some confusion around a new scheduled fix. I set my schedule to send me a new fix every three months. Well, my next fix was coming in early January. I received an email notification that I needed to provide my stylist with feedback. I wanted to cancel or delay my fix, so I logged in and updated my settings. I received an email that my next "fix" was coming up. I logged in and canceled because I received a lot of clothing for Christmas. I was charged $20 for this? The billing FAQ indicate I would be charged when a stylist begins work. I canceled after receiving the initial reminder. You should update your reminder notifications to occur before a stylist charge is incurred. I want this $20 charge reversed. I am considering no longer using this service. Thanks for reaching out to us. No worries, you were refunded the $20 styling fee when you canceled your Fix yesterday. Please allow 3-5 business days for your refund to process. We apologize for the confusion and we're here if you need anything else. Have a great day! This was a bit frustrating and confusing, but Client Support was able to work it out for me in the end. I haven't scheduled my next fix yet, but may do so in the next month or two. If I do, I'll post another follow-up to this review. What is StitchFix.com and why should I care? Subscription services is not exactly a new phenomenon. One of the most well-known I'm sure you've heard of and seen their commercials. Dollar Shave Club launched back in 2012 under a pretty simple premise - mail subscribers new razors (and related products) for a subscription fee. The StitchFix.com (rf) premise is similar to that of Dollar Shave Club, except for clothing instead of razors, of course. With StitchFix.com, you setup a profile, choose a frequency and they send you your subscription box (they call a "Fix"). Keep what you like; return what you don't. It's a pretty simple concept. The StitchFix.com premise is similar to that of Dollar Shave Club, except for clothing instead of razors, of course. I'm a guy. Should I try StitchFix.com? Stitch Fix won't be for everyone. If you're deep into and have a great love of fashion, I doubt clothing and fashion subscription and styling services will be for you. However, if you're not all that info fashion, you dislike shopping, but you like to dress well, then StitchFix.com (rf) is a service that can help you out. I feel as though I am firmly in the "hates fashion but wants to look nice" category. I'm a white collar professional with a business professional to business casual dress code at work and I really don't enjoy shopping for clothing in retail stores. When I do (or did), I would visit the same stores and purchase mostly the same clothing. I knew my size, I knew what I like and shopping wasn't "fun" for me, it was a necessity. I started to feel like I was missing out, though. I felt like my wardrobe all looked the same - the same blue shirts in different patters. I wasn't brave enough to try new stuff on my own and yet, I needed a fashion change. But how? That's when I decided to give Stitch Fix a try. Here's my story. I wasn't brave enough to try new stuff on my own and yet, I needed a fashion change. How is the signup process and StitchFix.com functionality? First, the signup process. I'll be the first to say I don't like anything that requires me to spend a bunch of time filling our forms and answering questions. That includes fashion or anything else. The questions that Stitch Fix asks (they call it a "style quiz") are pretty important to the process and I understand the platform and the stylist (it's a real person, by the way) need to know more about me in order to provide me with my "fix". The process took me around 10 minutes, probably just a little less. You start out with the basic info - name & email address to start. Then you fill out some of the vitals like height, weight, age (birthday), commute (drive, bike, etc). I was fairly impressed when they asked if I was a parent. The signup process isn't bad and the questions they ask are solely for the purpose of sending the best possible clothing options possible. This data collection is done either on the StitchFix.com website or via their mobile app. I personally signed up and completed my profile on a laptop and the experience was efficient, guided and very straight-forward. Don't worry, if you want to go back and change something you can. I actually changed my waist size after initially creating my profile. I guess that early morning jog is finally paying off. How is the selection & variety of men's clothing on StitchFix.com? This is probably the most important part, right? I mean, if they don't have a good selection of clothing to draw from, what's the point of a subscription clothing and styling service? I'm not really much of a "brand" guy when it comes to fashion. I have an affinity for Banana Republic, but mostly because I know what to expect from that brand. I don't tend to venture out very often - but I'm open to it. Stitch Fix has already helped me venture out of my comfort zone through their suggestions in my first fix. They chose brands, colors and patters that I wouldn't have chosen on my own, but items that I ended up really liking. I've been satisfied with the selection and options provided during my first fix and I'm looking forward to my next. I'm actually considering upping the frequency of the fixes I receive. How is the price & perceived value of my order? Stitch Fix provides a pricing sheet with each fix. The pricing sheet provides the cost per item breakdown and also a total fix cost. The total fix cost is the amount you pay if you decide to keep everything. Stitch Fix provides a 25% discount if you decide to keep everything. I thought the pricing was decent before the discount. The teal green, plaid shirt priced at $98 and the other two shirts were between $58 and $68 (for the Fairline shirt). The jacket was $125 and the pants were $78. The total "retail" cost of my 5-item fix would have been $427, adding up the prices for each item. If I kept everything, a 25% discount ($106 discount) and I'd get a $20 credit for the styling fee. These discounts would get the total fix cost down to just $300.25. Clearly, this pricing structure is not an accident. They know that you will be more inclined to purchase everything, even if you're not wild about everything in the fix. It makes financial sense to keep the entire order, unless you only want to keep one or two items because of the discounts. I'll be keeping a close eye on my 2nd fix to see if I think Stitch Fix sends anything that stands out to me as being "buried" in my order. In other words, do they include an item that you may not be interested in, just to get rid of the inventory? I don't think they're doing that, but I've only had a single fix delivered so far. How does StitchFix.com handle returns & exchanges? Last, but not least, are some thoughts on the Stitch Fix customer service and their return policies. With a subscription service like Stitch Fix, it's pretty likely that you'll eventually receive something that you need to send back. I had that situation on my first order, but not because I didn't like the item. I had to return an item because it was defective. There was a bit of confusion on my part at first when it came to returns. 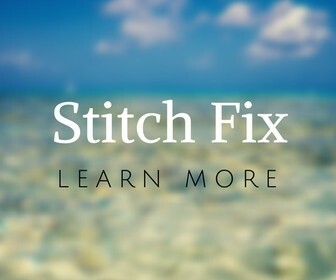 I emailed Stitch Fix customer service and I found them to be above and beyond helpful and responsive - even replying to my email on weekends. When your fix arrives, included in the box will be a large envelope (mine was grey) with a pre-paid shipping label attached. This is how you return any items for any reason. Don't like it and don't want to keep it? Return it? Received a defective item and want a replacement? Use the return envelope. Thanks for following up. Becca is away today, but I wanted to follow up with you to ensure that we resolve your issue as quickly as possible. We do provide you with a pre-paid return label, so the returns are on us. Since it sounds like the damages on the blazer you received may be repairable by us, we do ask that you send the original back using the pre-paid return label - I've reattached it for your convenience. If we're unable to repair the blazer, we will donate our unrepairable items as in-kind product donations to one of the several non profit partners we work with. Let me know if I can help you with anything else. Have a great Sunday! A few final thoughts on my StitchFix.com for men experience. I've been very satisfied in my experience with Stitch Fix so far. At first I was a bit skeptical. I mean, will they create a subscription for everything? The more I thought about it, the more I realized I was right in the wheelhouse for a service like Stitch Fix. I probably needed to give it a try. The registration process and "style profile" were easy to setup. I was a bit nervous leaving the selection of clothing completely up to a stranger, I must admit. But their customer service really won me over in the end. I can tell this is a good brand with their "hearts" and heads in the right place and I'm very much looking forward to receiving my next fix. Q: Is signing up a time-consuming process? A: No, it doesn't take too long. You can save some time using Facebook to sign up initially. You will need to dedicate a bit of time to answer your style profile questions, though. Q: Can I choose my delivery date? A: Yep! You can choose when your "fix" will arrive. Of course, it's an estimate, not a guarantee, though. Q: How does Stitch Fix ship its orders? A: Stitch Fix appears to use USPS for shipping. Tracking information is provided when your order ships. Q: If I don't keep anything, am I charged? A: If you receive a fix and you decide not to keep anything in your fix, you will still pay the $20 styling fee. Q: How long do I have to decide what I keep? A: You have 3 days to decide what you want to keep. You can request an extension if that's not enough time. Q: How many brands does Stitch Fix offer? A: Stitch Fix offers 250 different brands. Their men's line consists of around 30 different brands. Q: How often can I receive a fix? Q: Does Stitch Fix charge tax? A: I live in Florida and I was not assessed a specific fee for tax. Like most e-commerce businesses, it may depend upon where you live and where Stitch Fix ships their orders from. Click any image below to view a larger version. I'm working on a video, too. That's coming soon! Stitch Fix Review - My First "Fix"
What do you think? Have you ever used a clothing subscription and personal styling service like Stitch Fix for men? Are you a guy considering a subscription and personal styling service, too?